From an outstanding collection of local history artifacts, to the live entertainment at the annual Great Ogeechee Seafood Festival, Richmond Hill, Georgia’s art scene and cultural attractions offer a multitude of experiences. And, just a few minutes away, the art museums, entertainment venues and nightlife of Savannah offer a full range of diverse and cosmopolitan art and culture offerings. This non-profit arts association works to promote drama, music, visual arts, culinary arts and dance in Bryan County and the neighboring coastal communities. We are a custom picture framing shop, art gallery, Internet supplier of art and antique art, and antique art dealer. 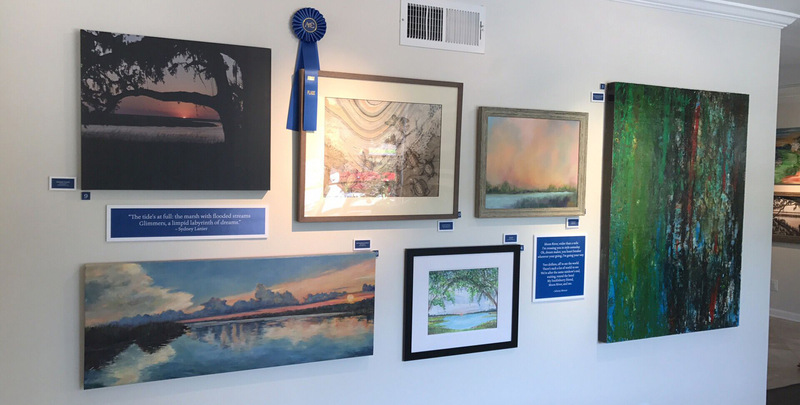 The Gallery showcases a variety of one-of-a-kind coastal art, sculpture, furniture pieces and fine art photography by members of Arts on the Coast, the Savannah Arts Association, Artist Resource Collective and beyond. Leahy Art Gallery and Custom Framing features oils, watercolors, drawings, etching and prints by local artist, Jim Leahy. The gallery features a full-service, in-house frame shop.